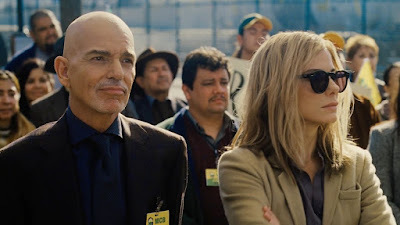 I have finally seen the long awaited Sandra Bullock movie 'Our Brand is Crisis'. Following a string of powerful roles including 'The Blind Side', 'Gravity' and 'Extremely Loud and Incredibly Close', Bullock's first film in two years had my expectations way high. Calamity Jane (Sandra Bullock), a self-retired political strategist, is lured back into the game when a Bolivian presidential candidate is failing in the polls, knowing that her nemesis Pat Candy (Billy Bob Thornton) is helping the opposition. Despite a gruelling start, Jane finds her fire once again and goes to extreme lengths to win, using her charm, wit and devious tactic. The movie is well paced, and as a political satire, manages to keep you engaged. Unfortunately, it doesn't push the limits of comedy, or serious political drama. Stuck in limbo between both genres, the film is neither here nor there and had it focused on one aspect, could become far more effective. Following a rather linear story line, not too many curve balls are thrown within the political campaign. After a series of sabotages by either side, the direction of the movie falls into a somewhat predictable area, resulting in the Hollywood treatment of an ending, tad corny, tad convenient. Also stars Ann Dowd, Scoot McNairy and Zoe Kazan. Sandra Bullock is on top form as Calamity Jane, delivering yet another likeable performance, though her character's exchanges with Billy Bob Thornton's Pat Candy are not always as sharp as they could be, partly due to script, partly due to the choppy editing at times. Received with mixed reviews and completely overlooked this awards season, 'Our Brand is Crisis' is a well acted movie, but the film is reserved when it comes to its comedic punches, and undecided in its delivery of political morality. It's no 'Blind Side' but nonetheless, an enjoyable 1 hour and 47 minutes of Sandra Bullock, delivering yet another attention-worthy performance.